The previously mentioned What If, which I really ought to have written about sooner after catching it on the big screen August 17th, served as my final filmgoing as an Ann Arbor resident and final film prior to returning to academic life. It was a fittingly optimistic and fresh finale. 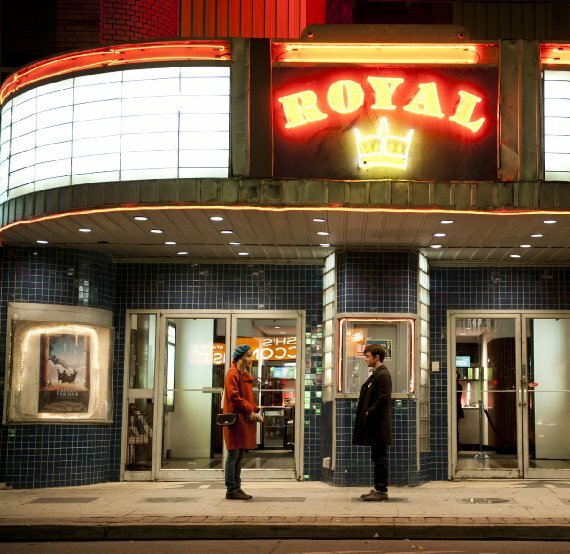 The contemporary story finds Daniel Radcliffe and Zoe Kazan living among people their age in Toronto, which is seen as the hip, multicultural, walkable city it really is. Radcliffe portrays a med school dropout who is disillusioned with life and not finding focus in what he wants. He attends a party one night and starts talking with Kazan, who happens to be a distant relative of his roommate (Adam Driver) although they have not gotten to meet before. The two of them seem to hit it off, and then Kazan’s parting shot of “it was great to meet you, but I’ve got to get home to my boyfriend!” seemingly throws an arrow on the evening. It would be a short film if they left it at that, and so the rest of the story follows the unlikely couple as they continue to get to know each other better after an initial re-meeting following the party, and whether or not their connection will blossom into something more, and if either of them truly want to get to know each other as more than friends — and possibly change their lives along the way. A subplot develops with Driver’s character settling down with a vivacious blonde (Mackenzie Davis) after several years of serial dating, while Kazan’s sister (Megan Park) casts her own opinion of Radcliffe and the situation, and her boyfriend (Rafe Spall) tries to make sense of it all. The freshness of the story, from Kazan’s character’s profession (an animator) and Radcliffe’s consistently game, committed approach to his scenes, along with a chirpy soundtrack from AC Newman and appealing emphasis on the real streets and locations of Toronto, kept it engaging, even as it veered towards a somewhat inevitable positive conclusion. And the story didn’t shy from hints of “real world” or “real life” drama, as Kazan worked hard in her portrayal to emphasize the many choices thrown at her character, while Driver and Davis used their limited screen time to give a broad, but charming portrayal of their life as a couple. And of course it’s great to see Radcliffe getting more comfortable as he continues to put distance from his Harry Potter role. His performance here may be his most engaging non-HP portrayal yet, and he seemed relatable, which is key for a modern comedy-drama/romantic comedy, like he just walked off the screen and down the street outside the cinema.